Ten years ago I made the decision to take a leadership role in the development of a NASA asteroid sample return mission. I am now just past the halfway point to mission success. I am the Principal Investigator for NASA’s OSIRIS-REx Asteroid Sample Return Mission. Our objective is to launch a spacecraft from the surface of the Earth, rendezvous with a near-Earth asteroid named Bennu, contact Bennu’s surface for five seconds to grab a handful of rocks, and return those precious samples back to the surface of the Earth for us to study. It sounds so simple – it is anything but. The first milestone in our journey was convincing NASA to fly this mission. That objective took seven years to achieve. We submitted the first proposal in 2004. 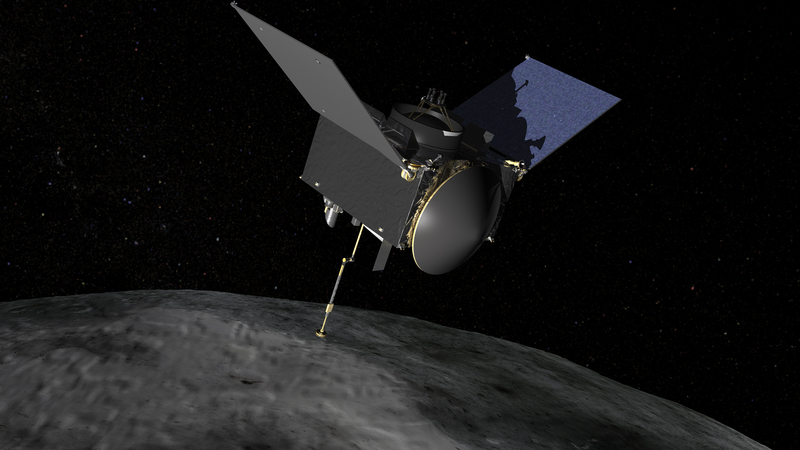 NASA selected OSIRIS-REx as the third mission in its New Frontiers program in May 2011. In between we submitted five proposals to the agency. Each rejection made us stronger; the concept became more rigorous, the plan better defined. In its final incarnation, our Concept Study Report provided the detailed blueprints on how to build and fly a spacecraft on a round-trip journey to an asteroid. It turns out, getting selected was the easy part. NASA mission design proceeds by passing through a series of gates called Key Decision Points or KDPs. Approval to work on the Concept Study Report was KDP-A; Selection was KDP-B. KDP-C is called Confirmation. Confirmation requires successful passage through over three dozen Preliminary Design Reviews. Each instrument, spacecraft subsystem, ground system component, and management practice has to justify its plan in front of a board of experts whose job it is to uncover weaknesses and flaws. Failure to pass a single one of these reviews could result in mission cancellation. NASA confirmed OSIRIS-REx in June 2013. Our greatest challenges still lie ahead of us. Our next two KDPs are big ones. KDP-D, in March 2015, gives us permission to assemble and test the complete flight system. KDP-E, in September 2016, allows us to launch OSIRIS-REx into space and send him on his journey to rendezvous with Bennu. His journey will take seven years. During that time he will return to Earth to receive a gravity assist, fly through an uncharted region of space where “Earth-Trojan” asteroids may be hidden, spend over a year mapping Bennu to select a sample site, gently approach the asteroid surface to obtain a piece of Solar System history, then depart the asteroid on a return trip to Earth. The samples will land in the Utah desert in September 2023, marking the end of a twenty-year adventure and the beginning of a new era of planetary exploration. Love to keep updated on the progress of this mission. I look forward to hearing from you in the future – happy reading!